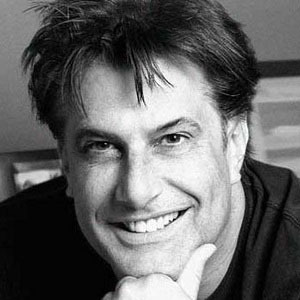 Famous for his work with the Cartoon Network and Nickelodeon, Murray created the popular animated program Camp Lazlo for the former channel and the series Rocko's Modern Life for the latter. Also a children's writer and illustrator, he penned the books Who Asked the Moon to Dinner? and The Enormous Mr. Schmupsle! He began his artistic career as a political cartoonist and commercial designer. During his time at De Anza Community College in California, he established his Joe Murray Studios illustration business. His debut animated movie, My Dog Zero, received a Student Academy Award. He was later awarded two Emmy Awards for his work on Camp Lazlo. He grew up in San Jose, California, and later settled in Los Angeles. Some years following the tragic suicide of his first wife, Diane Murray, he married Aleide Murray. At the end of the third season of Rocko's Modern Life, Murray transferred direction of the show to SpongeBob SquarePants creator Stephen Hillenburg.